Community service, called Service Learning, is a longstanding and valuable tradition at Northrise University. As a Christ-centered Institution, Northrise aims to impact the surrounding community in as many ways as possible. 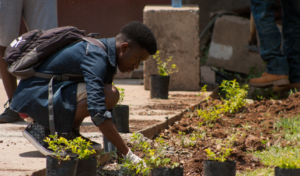 Service Learning also offers students opportunities to interact with the community. 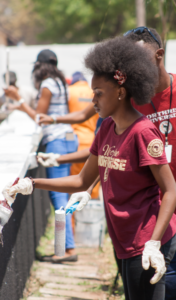 Students learn about giving back while ministering to people and sharing the Gospel message through acts of service. Northrise University understands the importance of connecting with nearby communities. Northrise recognizes the immense power that one act of kindness carries. After all, the mission of Northrise is to impact the nation one student at a time. Many Northrise students are from the very communities in which they now serve. 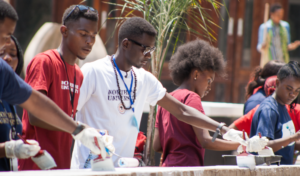 Recently Northrise University students seized an opportunity to give back to the community by serving at the Ndola Teaching Hospital during the Global Youth Impact event. Global Youth Impact, organized annually by Bread of Life Church, aims to bring different youth groups together to hear the word of God and serve in ministry together. 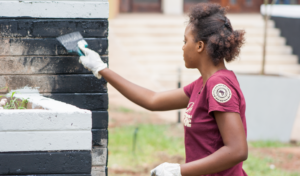 This year, the youth served the Ndola community by giving the Teaching Hospital a face lift. 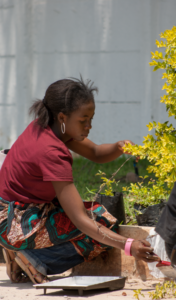 Over 100 young adults from different parts of the country gathered to paint, clean, and plant flowers at the main entrance of the hospital. More than 65 of the young adults serving were Northrise students. Through this and other Service Learning projects they have developed a genuine love of service. The Northrise students, together with other young adults from the community, joyfully painted the entrance walls, planted flowers, swept, and picked up litter around the hospital. 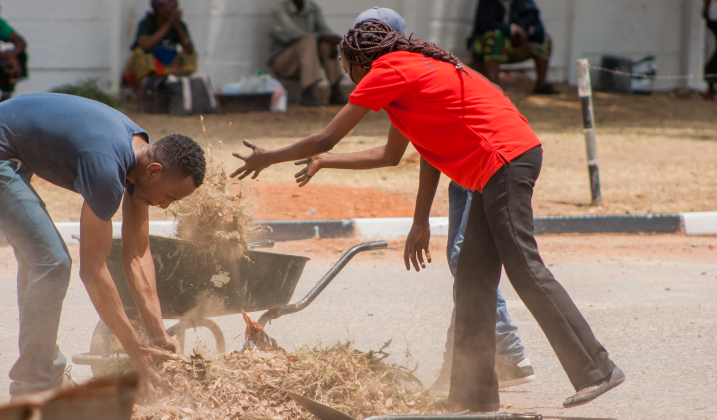 When the work had been completed, many NU students, even in their exhaustion, said they enjoyed serving. They also enjoyed making new friends with the different young adults they met. They felt it was a blessing to be part of encouraging and warming the hearts of the many patients and caregivers that will visit the hospital. 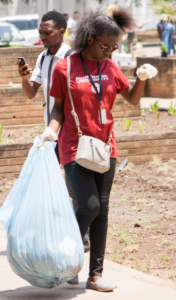 We look forward to seeing the Northrise roots of kindness spread across Ndola and the country of Zambia as Northrise University continues to be excellent at what is good.